New mining investor friendly framework already attracted big miners like Dundee, Rio Tinto, Freeport and many junior mining companies developing gold, copper, gold, lithium, borats and other mines. Additional legal improvement is expected to attract new investors in highly perspective greenfield metal and precious metals deposits, unexplored and biggest in Europe. 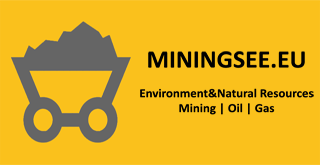 A new law on Mining and Geological Explorations (the “New Mining Law”) was adopted by the Serbian Parliament on 4 December 2015 and came into force on 16 December 2015. The New Mining Law continues the previous practice of including geological explorations and mining together in one legislative act. As some of the most important stakeholders, including investors, experts, and scholars, were involved in the process of drafting of the New Mining Law, the Serbian Government expects that the new legislation will create a positive environment for future investments in the country’s mining sector. It remains to be seen to what extent such expectations will be met in practice. One of the changes under the New Mining Law is the concept of mineral and other geological resources of strategic importance. These are oil, natural gas, coal, copper, gold, zinc, boron, lithium, shale oil, and other resources that will be further identified by the Serbian Government. In case of mineral resources of strategic importance, the procedure for the expropriation of the relevant land to be used for mining can be implemented, even when the prospective exploitation is to be done by private parties. Under the New Mining Law, geological exploration permit holders are entitled to submit a request for the preservation of their priority rights for exploitation of the specific exploration area at least thirty (30) days prior to the expiration of the duration of the permit for geological exploration, in order to prepare the documentation necessary to issue a decision on the approval of the exploitation field. Such a preservation of rights can be approved for a period of up to two (2) years and, in case of mineral resources of strategic importance, for up to three (3) years. In either case, the preservation of rights cannot be prolonged. This represents an important new change introduced by the New Mining Law, which is aimed at securing the continuity of entitlements to prospective mining areas. Appropriate guarantees required to obtain approval for mining works and construction of mining facilities. Another change brought by the New Mining Law is the requirement that a bank guarantee, bill of exchange, or corporate guarantee be procured by the party conducting exploitation, in order to secure the remediation and restoration of land degraded as a result of exploitation. Such collateral should equal at least 30% of the value of remediation and restoration works, according to the main mining design. If any collateral needs to be reissued, the amount of such collateral shall not be less than 30% of the value of the remaining remediation and restoration works. The New Mining Law provides that exploitation of mineral resources is to be carried out based on the following approvals, which need to be obtained successively: (i) exploitation approval or approval for the exploitation field; (ii) approval for mining works/approval for construction of mining facilities; and (iii) approval for use of mining facilities. However, unlike under the previous mining law framework, the New Mining Law provides for the possibility that the proof of the relevant right over the land where the exploitation is supposed to take place can be obtained at a later stage. Namely, such proof must be presented for the purpose of issuing the approval for mining works or approval for the construction of mining facilities, instead of for the issuance of the exploitation approval or approval for the exploitation field, which was required by the old mining law. – Serbian municipalities no longer have the power to issue the relevant permits for geological explorations and exploitation of mineral and other resources. – The maximum exploration surface area is now set in the New Mining Law rather than being regulated by the Ministry in charge of mining (which was previously the case under the old mining law) and is up to 100 km2, except in case of exploration of oil and gas (up to 5,000 km2), underground waters and mineral resources (up to 10 km2), and non-metallic mineral resources used for production of construction and industrial materials (up to 2 km2). – The maximum quantities of minerals that can be used for technological testing during geological explorations are now also defined in the New Mining Law, depending on the type of mineral resource (non-metallic mineral resources, coal and oil shale up to 500 tonnes; metallic mineral resources up to 2,000 tonnes etc.). – The certificate of origin is introduced in the area of non-metallic mineral resources and raw materials used for the production of construction and natural construction materials.